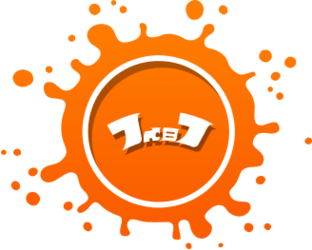 Battle Dojo is a 1v1 local multiplayer mode in Splatoon. It was announced on 1 April 2015 during a Nintendo Direct. Battle Dojo is playable by two people on the same console, one using the Wii U GamePad and its screen and the other using the Wii U Pro Controller, Wii Classic Controller, or Wii Classic Controller Pro and the TV screen. Once a match begins, a column of light, marking a location, appears. Players must travel to this location and shoot the seven balloons that appear within twenty seconds. Each balloon is worth one point, and two when there is one minute left in the match. After all seven balloons are popped or are not popped after a certain amount of time, a new light column appears. The first player to reach thirty points or the player with the most points after three minutes wins the round. Canned Specials make an appearance here and will either give the players a status effect, sub weapon or special weapon. These can be found by breaking open crates found in various areas around each stage. All obtainable content from the Canned Specials are used immediately upon getting them, so specials are not able to be stored for later use. A list of the obtainable items and conditions from the Canned Specials are shown below. Bubbler: Equips player with a Bubbler. Disruptor: Causes the opponent to suffer as if under the effects of a Disruptor. Full Power-Up: Causes the player to receive a temporary boost to their run speed, swim speed, and ink recovery. Inkstrike: Automatically sends an Inkstrike to the opponent's current location. Inkzooka: Equips the player with an Inkzooka. Point Sensor: Causes the player to see the opponent as if under the effects of a Point Sensor. Sprinkler: Automatically places a Sprinkler in front of the player. Super Jump: Automatically cause both players to swap places through a Super Jump. There are eight weapons available in Battle Dojo. The player will be equipped with gear based on the weapon they choose, as shown in the following table. Pro Controller + Wii Remote combo. Multiple Pro Controllers and a Wii U GamePad can be seen inside the Battle Dojo hanging on the wall. There are three white controllers, a black controller and a white GamePad on the left side and two black controllers on the right side. 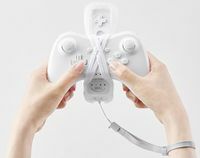 Battle Dojo matches can also be played with a combination of Wii U Pro Controller, Wii Classic Controller or Wii Classic Controller Pro attached to a Wii Remote Plus or Wii Remote with a Wii MotionPlus accessory, which was hinted at in the 26th Sunken Scroll, pictured right. This allows the player using the controller to have motion controls. To perform this, the player must hold down on the , hold down , and press and , as described on the Splatoon Tumblr, Live from Squid Research Lab. The playable Inklings in the Battle Dojo are based on those seen in various pieces of official art. During a Splatfest, all the stages in the Battle Dojo were switched to nighttime. Stages that were added to the game through updates were not present in this mode. The reason why is unknown. For unknown reasons, the Urchin Underpass map never received the changes from Version 2.0.0 like the multiplayer map did. A Wii U GamePad and four Wii U Pro Controllers, visible inside the Battle Dojo building. The pre-2.0.0 Urchin Underpass in the Battle Dojo during a Splatfest. This page has been accessed 24,885 times.